Who said Pigs in Blankets are just for Christmas!? 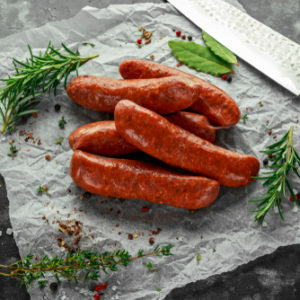 Made with our popular traditional sausage seasoning. 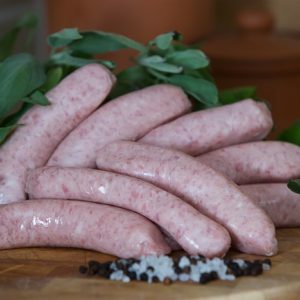 Each sausage is lovingly linked using natural casings and wrapped in streaky bacon by hand (just spare a thought for us at Christmas!). Don’t wait until Christmas to enjoy these tasty treats! 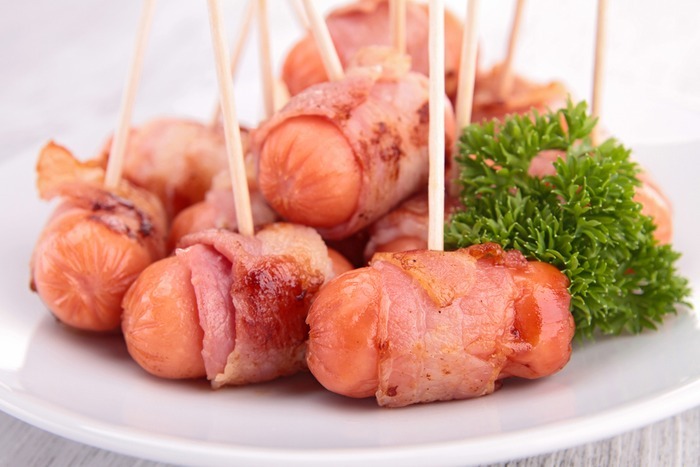 Our hand-linked chipolata pork sausages wrapped in dry cured streaky bacon. Minimum 10 per pack (approx. 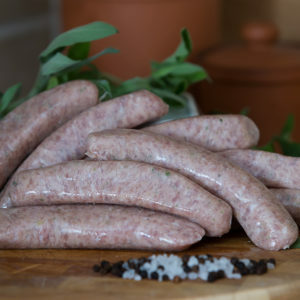 450g).